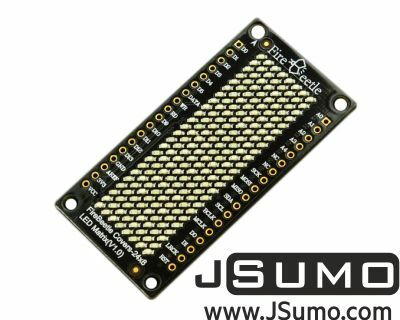 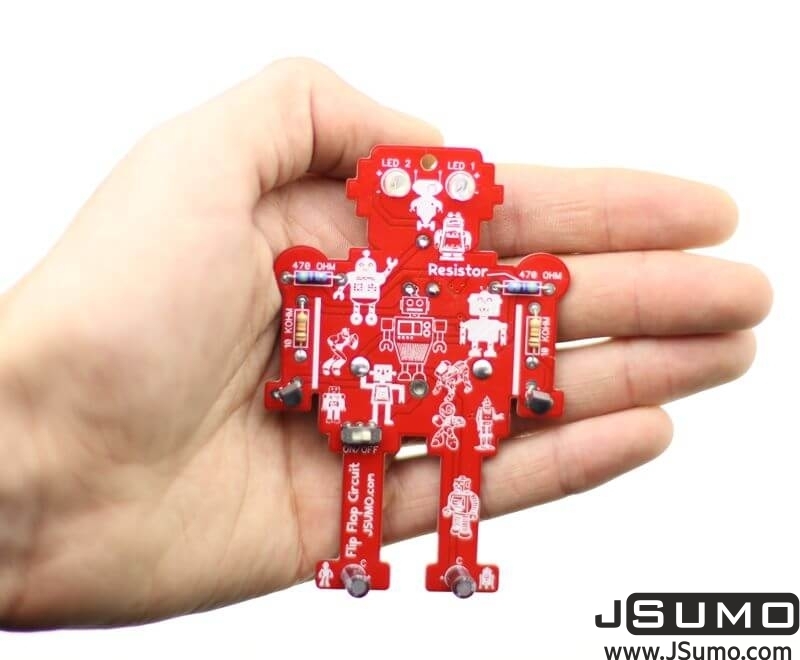 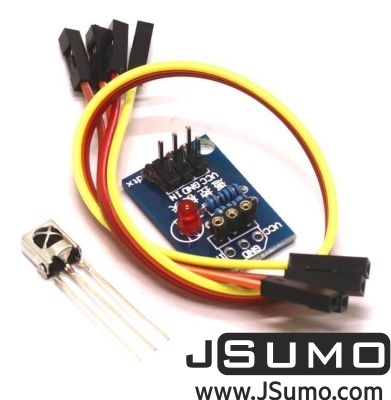 JSumo flip flop circuit is funny way for learning soldering and using it as a keychain. 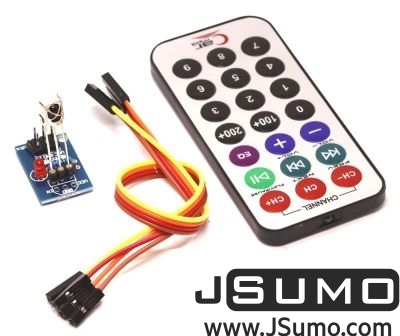 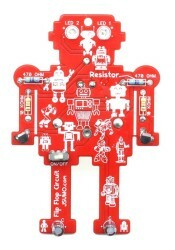 Comes as unassembled and easy to solder in kit form. 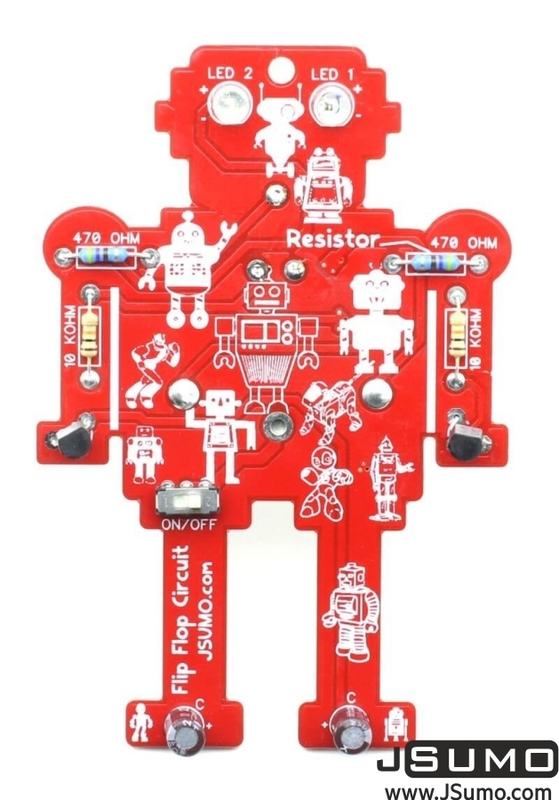 With On/Off switch you can close the circuit while not used. 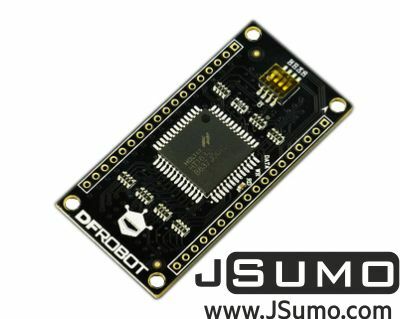 At backside there is a trimpot, you can use for changing delay times. Keychain ring is not included.